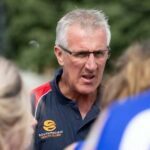 http://www.irishroverstationhouse.com/1nxqkdj Port Melbourne’s winning streak has come to an end at the hands of the VFL reigning Premiers and current ladder leaders Williamstown at North Port Oval on Saturday, with a slow start proving costly in the heavy conditions. Having entered the game off the back of five consecutive wins, hopes were high amongst the Borough faithful that they could certainly test what many considered to be the competition benchmark once again in season 2016.
https://bramleybaths.com/x1bf99rnu However, the home side’s task was made even harder after just 23 minutes, with Williamstown jumping out the blocks and booting 5.4 to Port’s 0; shell shocking players and onlookers alike. After the initial burst, the Borough did manage to settle into a better rhythm and boot two late first-quarter goals through the recalled Josh Scipione and young ruckman Lachie Waddell. 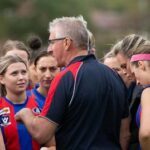 Those goals did nothing to soften the verbal blow of the quarter-time address delivered by coach Gary Ayres though, as he lamented his side’s ability to match Williamstown’s early intensity and demanded a response henceforth. That response did come quickly through a third successive goal to Hugh Sandilands, but those three majors were then matched by Williamstown who soon booted out to a 34-point lead again. Buy Strong Valium Hopes were raised and momentum swung again when Blake Pearson and Tom O’Sullivan drew the Borough back to within striking range by the time the main break came. The 23-point deficit that Port faced at the start of the second half was as close as they got to the Seagulls though, as the Premiers consistently found answers to every challenge and were never seriously threatened. A goalless third term to the Borough was followed up by a five goals-to-two final quarter – which added some form of respectability to the 33-point end margin – however Ayres and his troops were left to rue their lacklustre start which was ultimately the major reason behind the loss. Individual winners across the ground were hard to find, and although Shannen Lange (27 possessions, 7 tackles), Matt Arnot (24 possessions, 12 tackles), Leigh Osborne (22 possessions, 2 goals) and captain Toby Pinwill (31 possessions) all tried hard, they were part of a midfield group which was well beaten on the day overall. Jordan Lisle and Osborne each booted their two goals in the final quarter to be the side’s only multiple contributors on the score sheet. Earlier in the day, it was much better news for the Development League, who kept their finals chances alive with a thrilling 2-point victory over Williamstown. 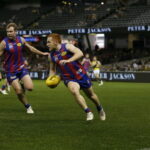 Mitch Hayes, Nick Dixon, Thomas Gordon, Jake McKenzie and Tom Hobbs all put in eye-catching performances, whilst Borough fans would have been delighted to see club champion Sam Dwyer make his long-awaited return from injury in the first half of the game, as he collected 12 possessions on carefully-managed game time. 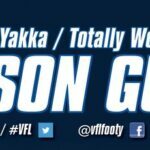 Round 17 will see the Development side take on Frankston, whilst the Seniors will be looking to bounce back and record an important victory against North Ballarat before the club’s second Bye next weekend. Goal Kickers: J. Lisle 2, L. Osborne 2, L. Waddell, J. Scipione, B. Pearson, K. Haretuku, H. Sandilands, T. O’Sullivan. Best Players: S. Lange, M. Arnot, L. Osborne, T. Pinwill, T. O’Sullivan, D. Van Unen. Goal Kickers: S. Bevan 3, M. Hayes, T. Hobbs, T. Knowles, B. Hogan, N. Dixon. Best Players: M. Hayes, N. Dixon, T. Gordon, B. Hogan, A. Urban, J. McKenzie.